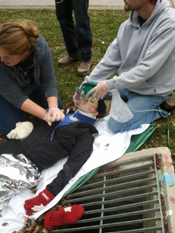 It covers most of the components of Standard First Aid as well as many additional topics related to wilderness and remote areas. Course Location: Held at various locations, please enquire about location of course prior to or when registering. Recommended for people who work or play where EMS response time may be hours or even a day away. 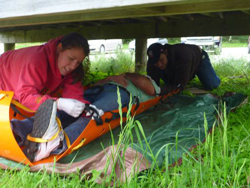 Builds upon the skills you received in the Wilderness & Remote FA. You must have successfully completed your WRFA with us in April or May of 2019 to be eligible. Payment must be received at least 2 weeks prior to the course. Late payments subject to a $25.00 late fee. Please note that you are NOT considered registered until you have filled out and submitted the online registration form (link below the payment options). 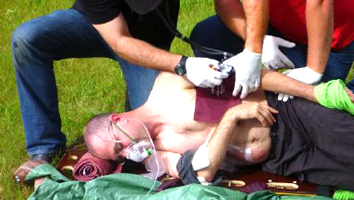 ** Participants must have a current Standard First Aid prior to the course. Recommended for people who work or play where EMS response time may be hours or even a day away. 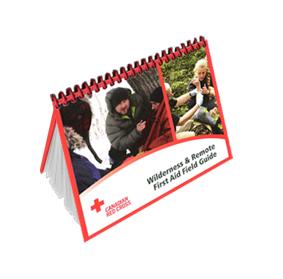 Builds upon the skills you received in the Wilderness & Remote FA.